Every year, the Wine and Management Programme teaches future professionals the know-how and expertise required to work in the wine industry. This programme is equally suited to those who envisage a career in the restaurant industry or want to become entrepreneurs. 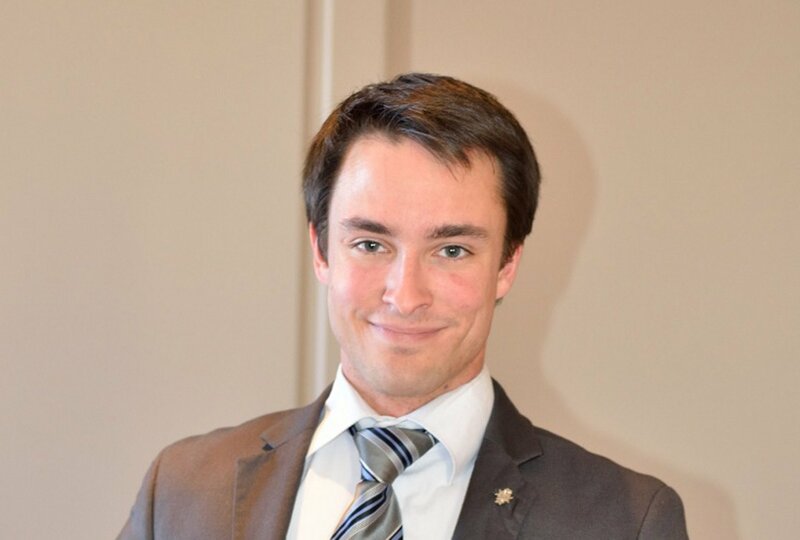 We went to meet one such person: Guillaume Gondinet, who was awarded his Diploma in 2013, to find out more about what he has been doing since graduation and about his plans for the future. Can you tell us what you did before studying at Le Cordon Bleu Paris? It was hard to imagine that one day I would end up at rue Léon Delhomme. After graduating from University with a Master 1 and a Master of Science in Computing, I worked in that sector for 4 years. Initially on my own, as an entrepreneur, then as an employee in a variety of positions in development, operational analysis, administration, and project management. My final role was as a business consultant. Somewhat disappointed by a way of life which I saw as becoming steadily unhealthier, meeting an exceptional individual, in all senses of the word, made me realize the importance of gastronomy and appreciation of terroir. At this crossroads, stood Le Cordon Bleu Wine and Management Programme. Can you tell us what you have been doing since graduation? Following graduation in June 2013, I launched my company : les Grappes Talentueuses which provides “discovery” cases of wine and videos. This original idea gives individuals the opportunity to receive a delivery, on a regular basis, of quality wines, which I have personally selected, to their home but also to watch a video which shows the terroirs and the wine-growers who produce them. The idea is that wine is not just a drink: There is a story behind it, a terrain, a life behind every bottle and by listening and watching the wine-growers who produce these wines, we can fully understand all the emotion that they were trying to convey. In the short term, I would like to launch this product in the South-Korean market. What, in your opinion, are the strong points of the Wine and Management Programme? In short: A programme that is unique in the world. In more detail: A condensed amount of technique, theory, practical, contacts and visits which instruct and train you in the world of wine. The ability to bring together theory and practice, an exceptional address book, prestigious sommellerie events, viticultural visits to the four corners of France, a global vision of the sector, with lessons in finance, marketing, communication, and management...This is a very thorough training Programme, which will turn you into a serious and sound professional. If you could give one piece of advice to somebody who wanted to have a career in the wine industry, what would it be? To be passionate whilst also being as open-minded as possible. This is an adage which is so well suited to wine industry jobs: There are so many possibilities (enotourism, enology, viticulture, marketing, import/export, investment, sommellerie, restaurant industry, journalism...) that it is only right to remain modest in all circumstances. To continue developing my business, particularly in the Korean market. It is a country which has so much to offer in terms of culture, gastronomy, and strength of character! At the end of the day, I want to continue living my passion, it is as simple as that.